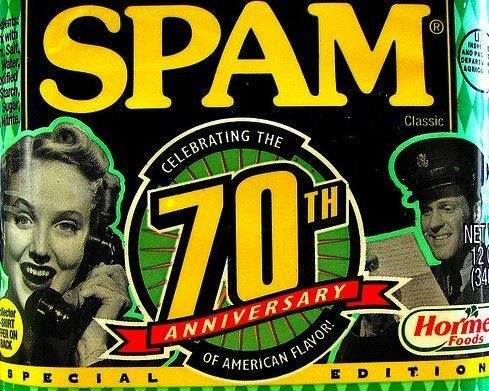 Can Spam Survive in a Social Media World? Guest post by Indra Gardiner (@bgindra), President of Bailey Gardiner in San Diego. An award-winning PR and marketing pro, she leads BG’s social media efforts and writes on their Don’t Drink the Kool-Aid Blog. There’s always someone who wants to ruin it for everyone else. Know what I mean? And in the world of social networks and the Internet I find that to be particularly true. The whole foundation of social networking is the intrinsic understanding that you and I are being transparent about who we are, that we respect the community’s environment and desires and will use our time there “socially”. Of course, marketers, like me, have infiltrated social media and use it to our client’s advantage. However, we do so with utter trepidation that if we are not “social”, that if we overtly use the medium for blasting our message out whether a community wants us there or not, we will get squashed. Just like a cockroach that no one wants around. But there are people out there who don’t care about the agreed-upon structures of a community. They have a message to blast out, damn it, and they are going to do it one way or another. They’re the ones that could ruin it. And they worry me. Someone posts something to a forum that is too promotional in nature. The community manager takes it down, asks them nicely not to use the forum for their promotion. So they come back the next day or a couple of days later with a new name, same spammy message. If they’re really stupid, they keep using the same IP so it’s easy to tell it’s the same person. Same thing happens on blogs in the comment section. People retweet a message only when they’ve changed the message from it’s original intent to support their position or message. That’s pretty low and can get out of control really quickly. The thousands of “false” Twitter profiles that are just looking to push spam. You check them out when they follow you and end up wasting your time. Despite that last item, one of the reasons I love Twitter is that unlike email, I can pretty much control whose message I see. I’m hoping that the bright shining light of the community will continue to spotlight the spammers, stalkers and trolls who try to ruin our online fun. If we don’t continue to stay vigilant to their efforts and call them out, I worry that our communities will fray. Though perhaps in our social world it’s not possible to be a successful spammer. Maybe the social community’s tagline should be – You Can Spam. But You Can’t Hide. 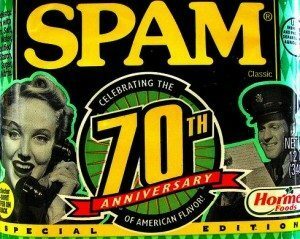 What kind of spamming are you seeing in social networks? Does it get called out when it happens?